Do you enjoy doing cool science experiments with your students? I know I did when I was still teaching in the classroom. There were times that I wanted to pull my hair out, because the school didn’t have the equipment I needed, or I forgot to bring one of the ingredients that would actually make the experiment work. Despite those occasional hang ups, I recall feeling so pleased after each successful cool science experiment we did in class. 1. Cool Science experiments can be used to present new concepts in an engaging way. Admit it, plain “chalk and talk” is boring. You’ll be lucky to have a group of eight-year-olds sit nicely the whole day listening to you talk about, say, surfactants and surface tension. However, if you tell the group that you will be learning about surfactants and surface tension, AND making rainbow milk at the same time, I’m pretty sure you’ll get your class’ attention. Cool science experiments are definitely more interesting than the lecture style of learning that people of the olden days are used to. 2. Cool science experiments make concepts easier to learn and remember. It’s easy to tell your students the definition of scientific terms, make them copy notes or pray that they will learn. However, getting them to understand and remember concepts is another thing. Cool science experiments enable your students see a concept in action. I’m quite sure most children would like to see the actual chemical reaction between vinegar and baking soda, for example, instead of just hearing you say that carbon dioxide can be created. 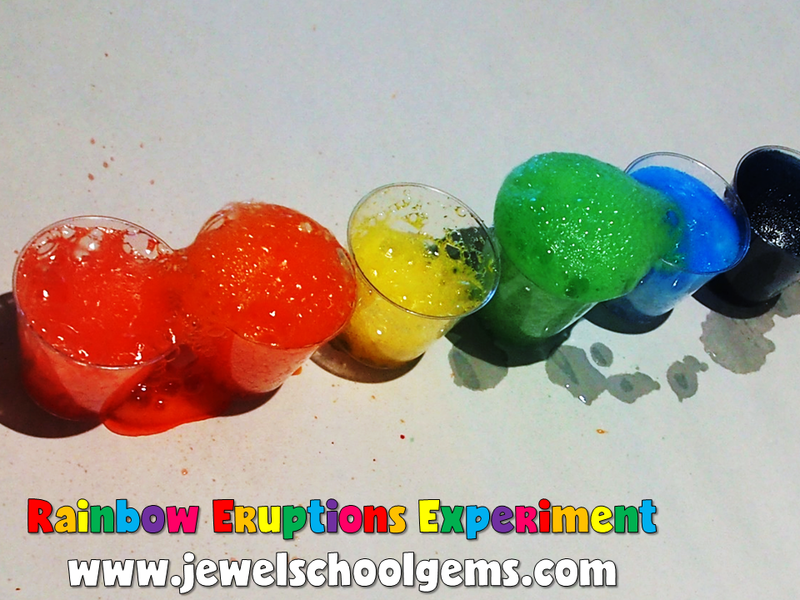 Making rainbow eruptions is a great experiment to try with your class if you would like to show an acid-base reaction. Cool science experiments lead to a greater sense of understanding of concepts. They also make concepts more memorable to your students. 3. Cool science experiments keep your students active. Research shows that most students respond better to active learning environments. Cool science experiments help you create just that – an active learning environment. Conducting experiments require your kiddos to follow the scientific method: ask questions, learn about background information, create hypotheses, test their hypotheses, analyze data and present their final answers to the questions they asked. Cool science experiments will definitely keep your students busy, thinking and moving from the first step to the last. St. Patrick’s Day is quite near, what better way to engage your students than, you guessed it, doing cool science experiments! 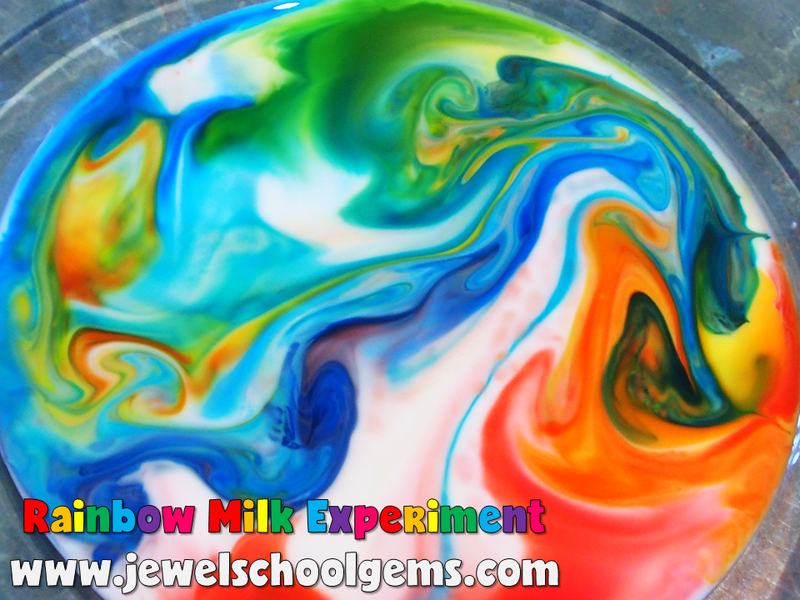 Rainbow Milk Experiment and Rainbow Eruptions Experiment are two St. Patrick Day Science resources I currently have in my store. They can also be used during ordinary days if you just want to explore Rainbow Science. Each resource includes a flipbook with color and blackline templates, as well as an interactive PowerPoint presentation that includes background information, materials, procedure and images of the experiment in action. Both flipbook and PowerPoint follow the steps in the scientific method. These cool science experiments will surely engage your students while enabling them to learn and remember concepts. Save yourself valuable time and sign up to my FREE RESOURCE LIBRARY for very busy teachers! 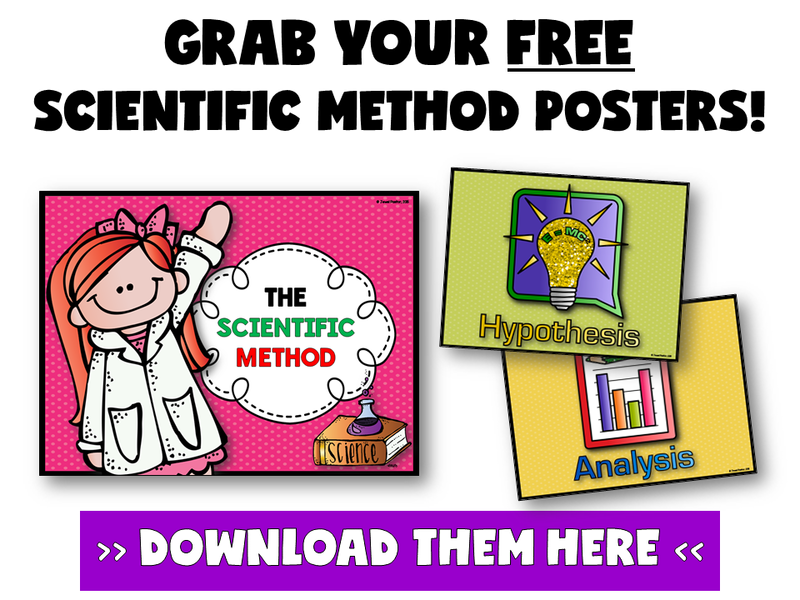 One of the freebies you will have immediate access to are scientific method posters that are a part of my Scientific Method Bundle. Just click on the image below to sign up! 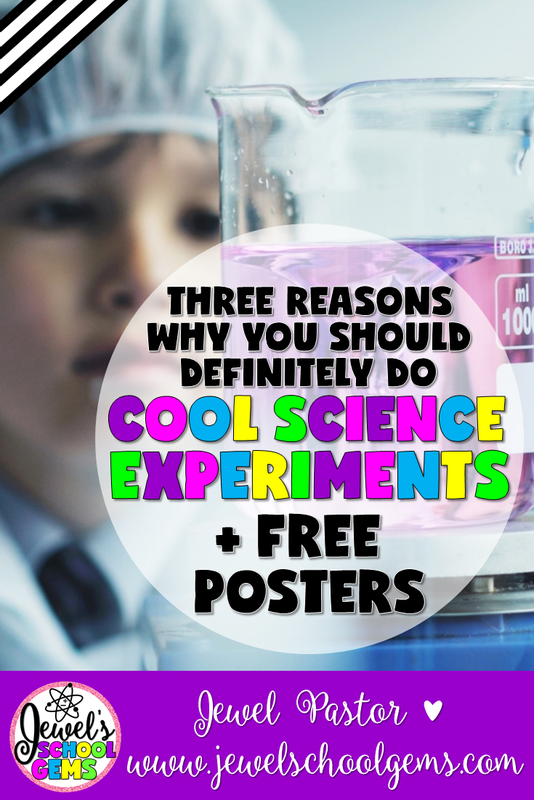 Can you think of other reasons why teachers should definitely do cool science experiments? Please comment below! My little one loves school, but he can’t wait to get older so he can do more experiments. Kids of all ages should do more hands-on activities like this. They have more fun, and they definitely remember more!